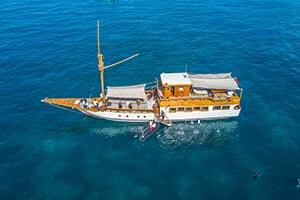 Note : Price is for 3 days private charter. To see the regular trip, go to search box! 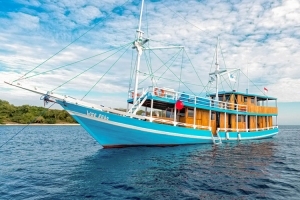 The Wae Rebo Phinisi charter boat is the luxury private cruise boat to Komodo National Park. 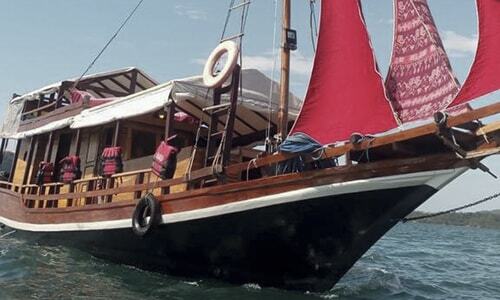 The Indonesia handmade boat from the quality selected wooden can accommodate a maximum of 12 people. This luxury yacht was build in 2017 with a capacity of 12 people including crews. All the rooms have complete with the Airconditioner, racks, and toilets. The cruise director and crews are ready to give you the best along the trip. The Komodo National Park recognize as the UNESCO Heritage Site and the NEW 7 Wonder of Nature. There are living more than 3.012 Komodo Dragons in total since 2017. Komodo National Park also offers a beautiful landscape view, underwater life, and beautiful beaches. 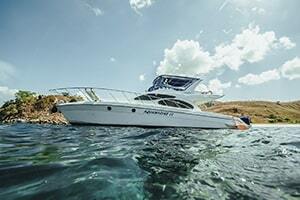 The 3 days private boat charter will let you explore more the National Park. The professional crews will accompany you along the way. 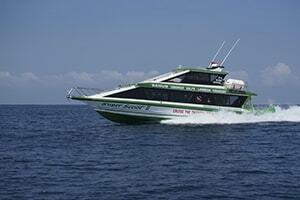 The recommended activities you can do during the cruise are snorkeling, sightseeing, and Komodo Dragons adventures. However, you can also do diving. Kelor island, a snorkeling spot. Rinca Island for Komodo Dragons adventure. Kalong Island, the place where you can see the flying foxes. You can have a sunset here. Komodo Island for Komodo adventure and visit the Komodo village. Pink Beach, is the great place to relax on the soft pink colored sand. You can also do snorkeling here. Padar island for a great landscape view with the beautiful island formation. You may need soft trekking to get to the top of the island. Manta Point for great snorkeling and chance to see Manta Rays. Kanawa Island offers a breathtaking view, hiking for a great view, you can also do snorkeling here. There are some more beautiful places to visit in the Komodo National Park. Otherwise, you can customize your own inquiry. Engine: One 6D16 Mitsubishi Diesel. 2 Genset Jiang Dong 15 KVA. 1 GPS Garmin 850 with the fish finder. One fuel tank 1.000 liters. Meals (breakfast, lunch, and dinner) during the cruise. Dive Master for one-time diving only. Komodo National Park entrance fee.